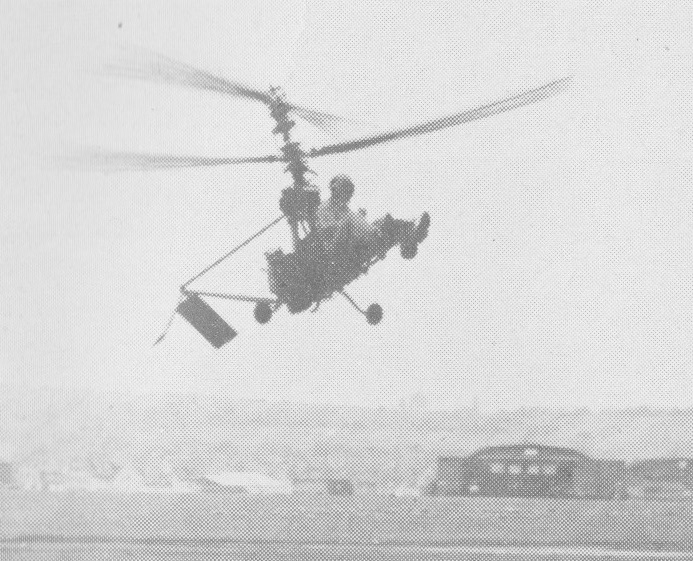 In 1956, Gyrodyne entered the competition to produce a single seat "personal" helicopter for operation off destroyer heli-decks for fleet observation, and for battlefield support, and built ten examples of the XRON-1 for the U.S. Navy. 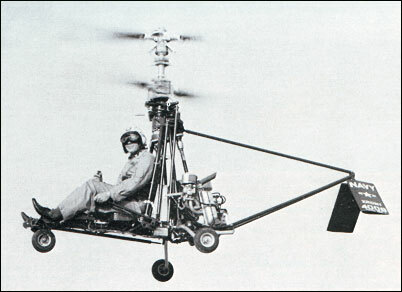 These also had a coaxial rotor layout and a 40hp Nelson H.59 engine - later replaced by a 60hp Porsche. 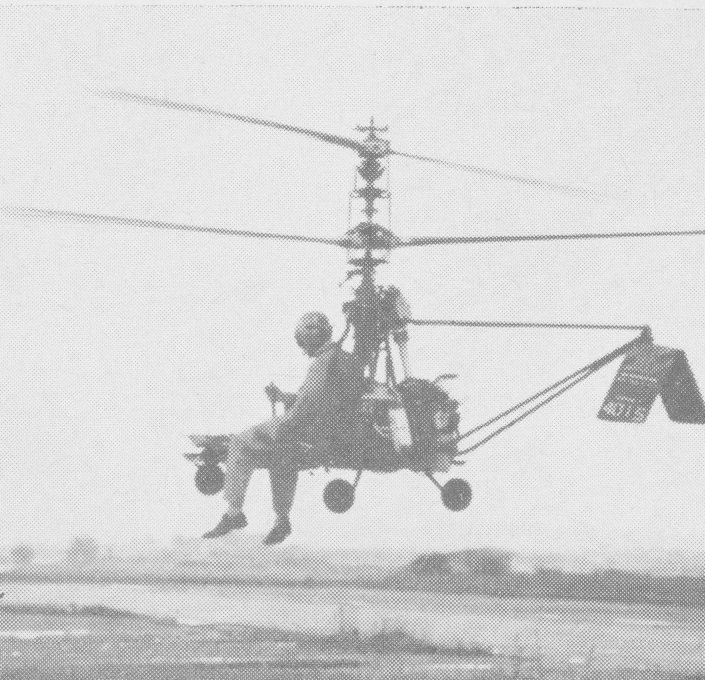 This experiment led to development of the QH-50 unmanned drone versions and Gyrodyne delivered over 60 production QH-50Cs. The inverted V-tail assembly is for stability onl. All control is achieved through the overhead rotors. A feature is tip brakes mounted on the ends of the rotor blades which provide smooth directional control.